Editor's note: Fresh from a meeting with President Obama, Jordan's King Abdullah sat down with Suzanne Kelly to talk about the Arab Spring and Jordan's influence in the region and its efforts toward negotiating a lasting Middle East peace. Watch for more stories from Suzanne's interview with the King later this week. For years, Jordan has been quietly waging its own war of influence in places like Iraq, Afghanistan, and now more prominently, in stepping up to fill a role in restarting stalled peace talks between Israelis and Palestinians. Jordan's King Abdullah met with President Barack Obama at the White House this week and his message when it came to the talks was, "We've got this. We'll let you know when we need you." "At this stage, and I said this to the president yesterday, as I did when I first met him three years ago, it's up to us to do the heavy lifting," said King Abdullah. "We still have a lot of homework to do and that's our responsibility. We can't always have to fall back on the United States to do everything." 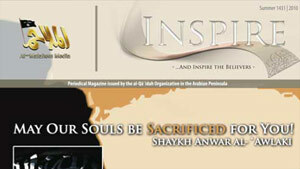 A copy of the jihadist magazine Inspire was found in a Guantanamo prison cell, a military official revealed Wednesday. The disclosure that a publication of an al Qaeda-affiliated group found its way into one of the world's most secure detention facilities came during a military hearing for a suspect in the 2000 USS Cole bombing. The magazine's discovery prompted even tighter security precautions including closer examination of detainee mail, which was the issue under discussion when Cmdr. Andrea Lockhart, a prosecutor, told the military court the magazine had been found. 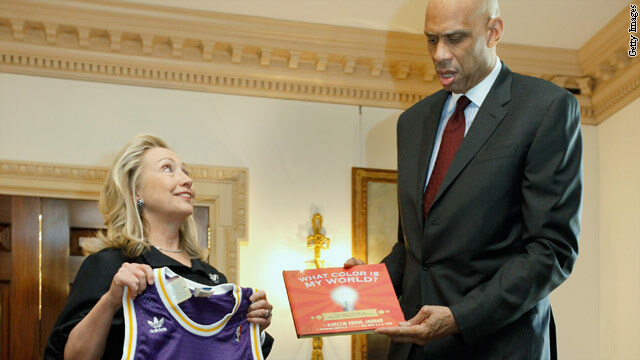 Kareem Abdul-Jabbar gives Secretary of State Hillary Clinton a copy of his childrens book. You can add another title to NBA Hall of Famer Kareem Abdul-Jabbar's long and distinguished resume: cultural ambassador. Secretary of State Hillary Clinton bestowed the title on the former Los Angeles Lakers star Wednesday for a role that will take him around the world to engage young people in an effort to forge greater understanding of the United States. "It's a great story that you not only tell, but exemplify, from the streets of Harlem to the NBA," Clinton said at an appearance at the State Department. The secretary, dwarfed by the former Laker, also touted Abdul-Jabbar's foundation, which works to improve children's lives through education and sports. "I really appreciate the opportunity," Abdul-Jabbar said. "I remember when Louis Armstrong first did it back for President Kennedy, one of my heroes. So its nice to be following in his footsteps." 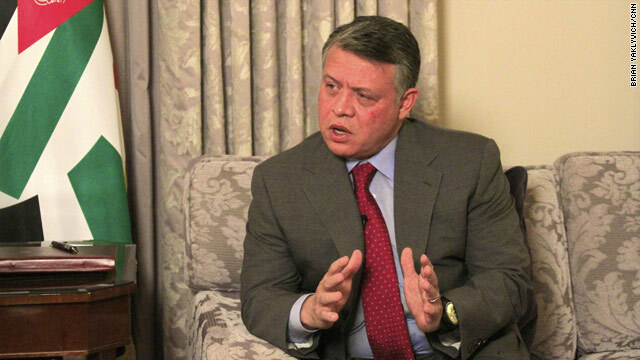 EDITOR'S NOTE: Jordan's King Abdullah sat down with CNN Senior National Security Producer Suzanne Kelly to talk about the Arab Spring and Jordan's influence in the region and its efforts toward negotiating a lasting Middle East peace. Watch for more stories from Suzanne's interview with the King soon. He was the first Arab leader to call for Syrian President Bashar al-Assad to step down, yet after months of violence and a less than successful effort by the Arab League to stop the killing of protesters, King Abdullah of Jordan says don't expect change in Syria overnight. "I don't see Syria going through many changes. I think what you're seeing in Syria today, you will continue to see for a while longer," Abdullah said in an interview with Security Clearance. "It's a very complicated puzzle and there is no simple solution. If you can imagine Iraq being a simple solution to move Iraq into the light a couple of years ago and it's different in Libya, so it has everybody stumped and I don't think anybody has a clear answer on what to do about Syria." 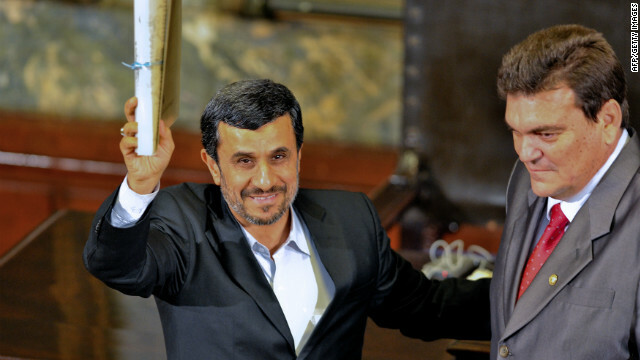 A diplomatic solution with Iran is still possible, Secretary of Defense Leon Panetta said Wednesday. "We have always expressed a willingness to try do that," Panetta said at a Pentagon briefing. Panetta was responding to a report from Iran that said President Barack Obama had proposed direct talks in a letter passed to Iranian leadership. Panetta refused to comment about specific communications but said diplomacy is always an option to pursue. The U.S. recently sent a letter to Iran warning about blocking the Strait of Hormuz, among other communications, CNN reported earlier this week. The United States has suggested to Iran that the two sides establish a channel of direct communication to ensure miscalculations don't escalate. The choice to talk is Iran's, said State Department Spokeswoman Victoria Nuland. An Iranian non-profit company says it will honor U.S. President Barack Obama's request that Iran return a drone that crashed there last year. But instead of the actual drone, the company says it will send miniature toy versions. A lot of them. 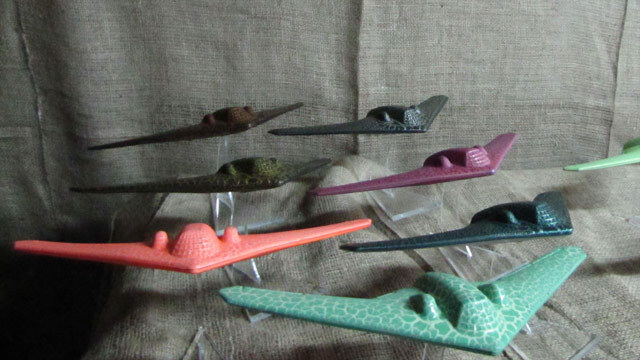 "We plan to send a full squadron of 12 to the White House for President Obama as a present," said Reza Kioumarsi, a spokesman for the Aaye Art Group, a Tehran-based non-profit, non-governmental company that makes novelty items. 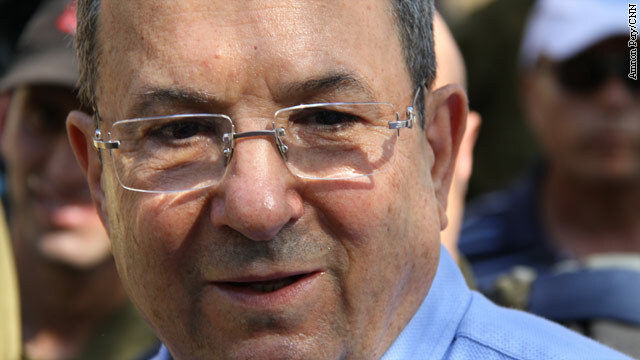 Barak: Decision to attack Iran "very far off"
Israel’s Defense Minister Ehud Barak said Wednesday that an Israeli decision on whether to strike Iran’s nuclear program was “very far off”. Speaking to Israeli Army Radio, Barak would not offer a concrete estimate as to when he believes Iran may develop a nuclear weapon. You've been a ghost at Fort Fumble, left to slip and slide, but now you're retread as a lingie and can use your skills to whiffle. If you're wondering what may have been in my coffee this morning, folks at the National Security Agency–or at least those from days gone by–would probably have no problem understanding the meaning behind the previous sentence. An article about the unofficial vocabulary of the super secret NSA was published in a 1991 edition of an in house magazine. Cryptologic Quarterly is published by the History and Publications staff and is only for the eyes of NSA employees. The article was one of a number recently declassified and made public by the NSA. Jobs have no doubt changed and technology has grown in leaps and bounds, so the lingo may differ, but now you have a chance to see for yourself NSA speak. You’ve been floating among offices waiting for a permanent position at the NSA, left to waste time, but now you’re retrained as a linguist and can use your skills to read rapidly through a stack of materials to cull out usable items. If you want to become familiar with some of the lingo, click here.